Just after the Shuttle launched, a warning alarm sounded. Sensors on one of a pair of components on a critical system had quit. Pilot Charlie Bolden reached over to a panel on his right and powered off the failed system. By mistake, he had turned off the working system. Within moments, the vehicle began gyrating and pitched violently downward out of control toward the ocean. 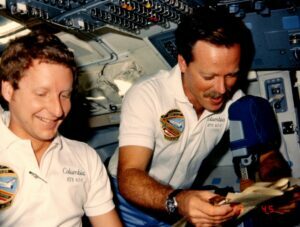 Luckily, Charlie, my husband Hoot Gibson, and the crew of STS 61C were flying the simulator that day. What was the lesson and how could a mistake like that be prevented in the future? Thus, began the collection of “Hoot’s Rules.” As the Commander of the flight, Hoot looked calmly over at Charlie and said, “Charles (which he was often called in jest to get his attention), things are never so bad that you can’t do something to make them worse.” That became Rule 1. 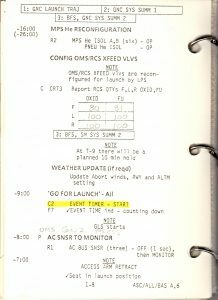 It meant “Think first, then act.” Embarrassing errors like that made in the simulator, when the crew, the training team, and sometimes Mission Control were watching, are seldom forgotten, seldom repeated. 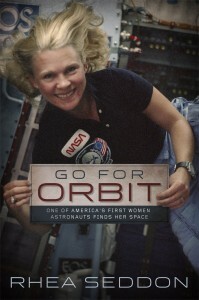 “We never take a critical step without two sets of eyeballs checking and concurring on it.” In the Shuttle, the Commander sits in the left seat in the cockpit, the Pilot is in the right seat, and the Flight Engineer is behind and between them. 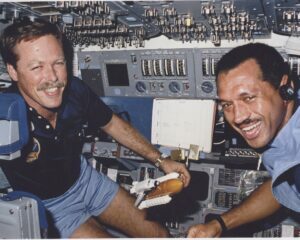 In training, Hoot would sometimes put his hand on the wrong switch just to see if the Flight Engineer, Dr. Steve Hawley on STS-61C, was watching and would question his action. Steve was brilliant, and he knew his commander well. The goal of all Hoot’s flights (besides landing safely and having fun) was to have no erroneous or missed switch throws. Most of the important things done on a flight – like deploying a satellite, making a course correction, or performing an experiment were mapped out in a list of steps based on knowledge, experience, and criticality. Crews practiced with the checklists for months during training, making them as brief and succinct as possible. Many would be so cryptic that they were almost indecipherable by normal humans. 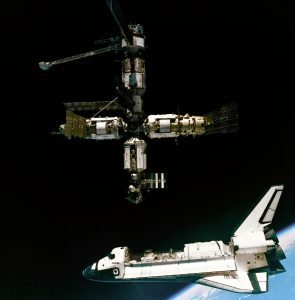 Astronauts who had trained extensively had the tendency to do things by memory. Sometimes one small skipped step could cause a major problem – like deploying a satellite without turning on its power. Are there any checklists in your life? If you cook, the recipe is a checklist. Since I travel frequently, I have a checklist in my suitcase of what to bring along – so I don’t forget my underwear. If you’d like to receive my blog to your inbox each month, we’d love to add you to our email list. If you have not yet signed up, please do so today by clicking here.